Microwriting—the practice of writing in microscopically small letters—is a fascinating subject that I’d barely heard of a week ago. Since then I’ve learned a bit more about it courtesy of Gordon Cramer of Queensland in Australia, who got in touch with me in the context of my recent post about The Bletchley Park D-Day Pigeon Code Caper. Gordon has kindly given me permission to pass on this information to a wider audience – most of the following is culled from a couple of emails he sent me, with only a small amount of additional digging on my part. There are several different reasons why people have resorted to microwriting over the centuries, ranging from harmless amusement to life-or-death secrecy. 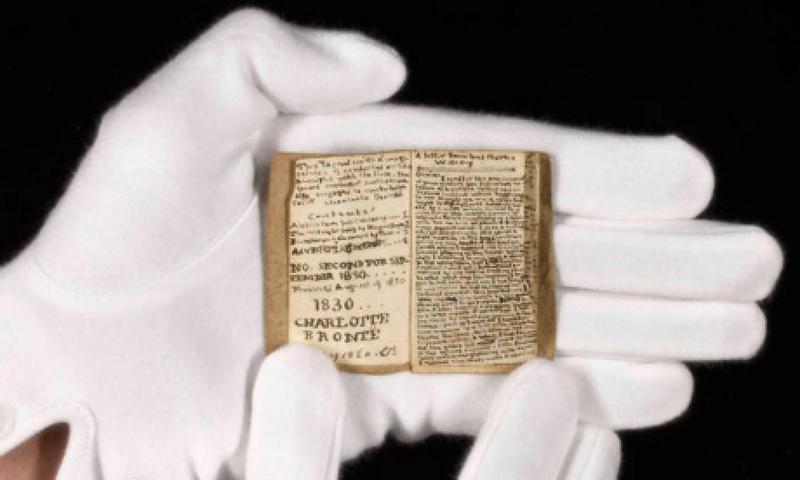 The picture on the left shows an example of the former – a miniature booklet that was handwritten by Charlotte Brontë when she was 14 years old. According to The Guardian this contains 4000 words spread over 19 tiny pages. Aside from being an amusing pastime, microwriting allows a large amount of information to be compressed into a very small space, and for this reason Gordon tells me it was sometimes employed in Carrier Pigeon messages during the Second World War and earlier. 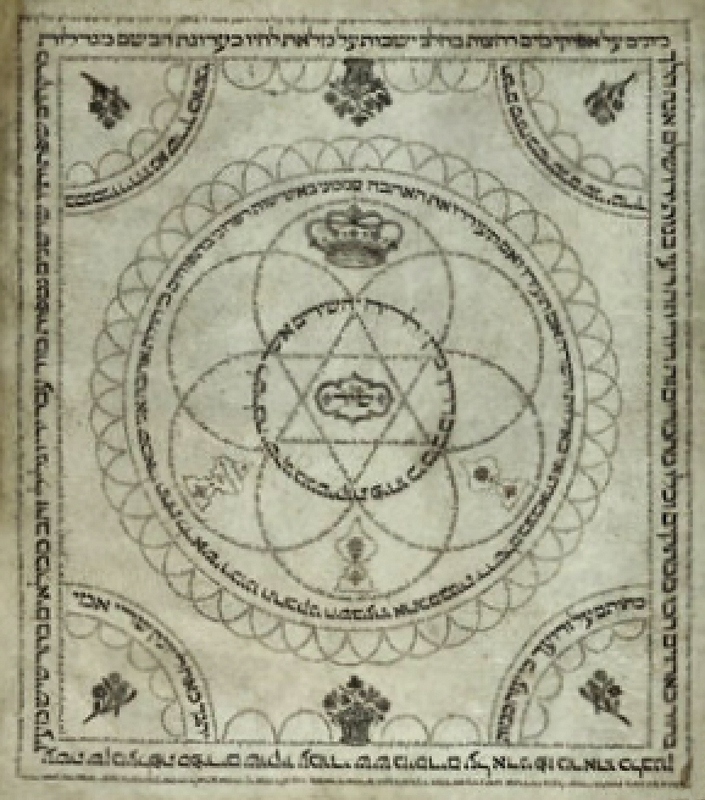 While the purpose of microwriting is usually to conceal text in the form of a graphic design, it can sometimes be the exact opposite of this – particularly in religious contexts which allow writing but forbid purely ornamental design. 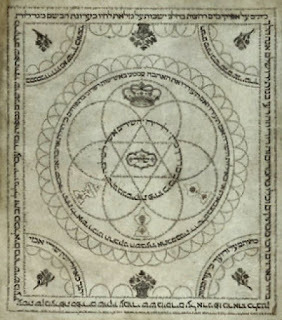 The Star of David on the right dates from 1794, and consists entirely of micrographic Hebrew text. 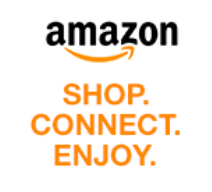 Some of the larger letters can be seen quite clearly, but even what appear to be narrow lines in the design are also made up of tiny letters. With the aid of appropriate technology, incredibly small-scale writing can be achieved. 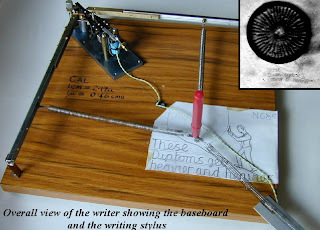 The picture on the left shows a Dall-type diamond microwriter, with the result shown in the inset. The dark circular object is a microscopic organism called a diatom, which is less than a tenth of a millimetre in diameter. Of course, the issue of pareidolia—appearing to find what you’re looking for in random data—is quite common in Forteana. 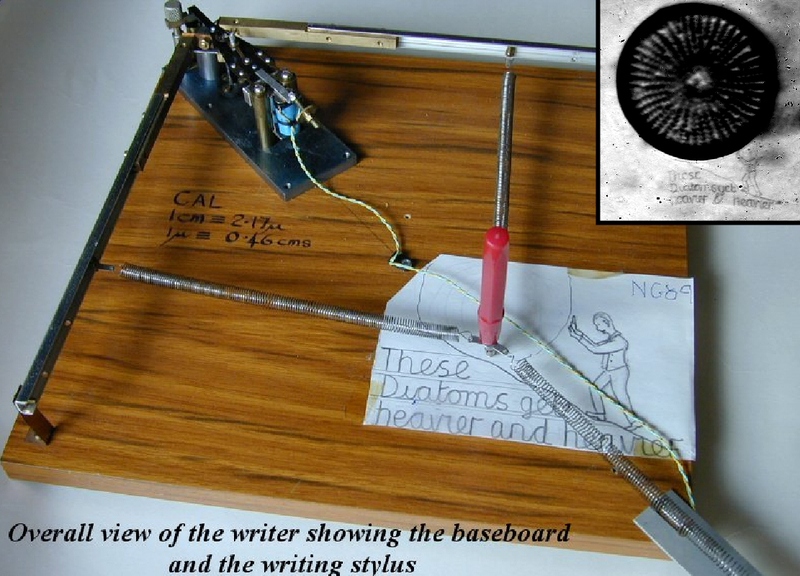 If it crops up when you’re gazing at photographs of Martian topography or listening to an old vinyl record played backwards, then it’s just as likely to happen when you’re scouring the works of Leonardo da Vinci looking for microwriting. While I was exchanging emails with Gordon I remembered a media report I’d seen in the Daily Telegraph a couple of years ago: “Art historians are probing a real life Da Vinci Code style mystery after discovering tiny numbers and letters painted into the eyes of the artist's enigmatic Mona Lisa painting”. And why not?